Our seven luxurious traditional Eskdale cottages are 4 and 5 Star rated, sleeping 2-10. Being 500 years old, they are naturally of Grade II Listed historical importance. You would be hard pressed to find a more beautiful and tranquil corner of the Lake District than the Eskdale Valley. The combination of the amazing location and our award winning accommodation provides the perfect ingredients for a superb holiday in Eskdale. Our cottages are nestled in the heart of the Lake District National Park so whether you are a couple on your honeymoon, a family holidaying with children, or a party of old friends catching up for a reunion, we have an extra special cottage to share with you. Our cottages are the perfect base to explore all of the treasures Eskdale and the surrounding area has to offer. Close by is the beautiful, deep, Wastwater Lake, England's deepest at 79 metres, and about 3 miles long. Also near is the majestic Scafell Pike, the highest mountain in England and one of England's most scenic hikes. As you drive down our cobbled entrance to Bridge End Farm, our seven 4 and 5 star graded Elizabethan luxury cottages will enchant you. The 500 year old pink granite walls still stand strong and their Westmorland slate roofs are held up by their original oak beams. Discover a trip back in time as you enter your traditional Eskdale cottage and absorb its history. 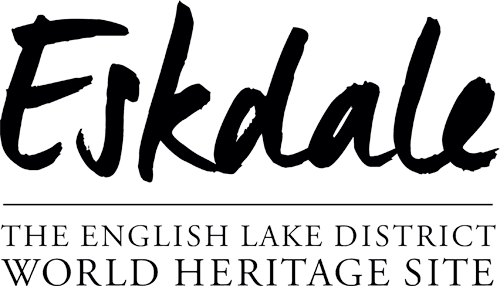 Inside, we have carefully restored the cottages to combine the best of the past and the present to provide you with all your home from home comforts, so that your holiday in Eskdale is as pleasurable as it could possibly be. Every cottage will enthral you with its charm and character. array of books, DVDs and CDs for all ages. Our smallest cottage sleeps 2 and our largest cottage sleeps 10. Each has its own identity, no two are the same, so take a look at our photos and galleries as well as the individual cottage descriptions to see which YOU would like to make your own for your stay in Boot! In the past year, we have installed brand new kitchens in all of our cottages. Eighteen months ago we embarked upon a total refurbishment of all our bathrooms and replacement of all our beds. All of our Eskdale holiday cottages now have super comfy 5 star quality mattresses. Last autumn we commenced the total refurbishment of all our kitchens along with the purchase of sumptuous Italian leather sofas for most of our luxury cottages and a few new fabric chairs to compliment the sofas. There is only one non new sofa and this is just 18 months old. Plus luxury honey oak Karndean flooring has been installed in all the cottages with the exception of the Farmhouse which of course retains its age old flagstones. Many new furnishings have been purchased including a bespoke special shaped table for Scafell Cottage. The accommodation really does have to be seen to be believed. So try and find a moment to browse through our various galleries and holiday cottages. They are of such high quality, and in such a beautiful area, we are glad you have found us, so we can share this unforgettable location with you. jumping into the Whillan Beck or River Esk and it’s rock pools for a quick dip! visit Boot Mill, the oldest working water mill in England and there has been a mill on this site since Roman times. Ask the miller for a tour to see it still in action! dive into Wastwater, England’s deepest lake (260ft), should set the adrenalin pumping! Along with Scafell, there are numerous other challenging or mid-level hikes or bike rides to accomplish right from the cottage door – the Western Lakes are popular with both mountain and road bikes and runners alike. With five fabulous traditional pubs in Boot, within 6 to 8 minutes’ drive of our Eskdale cottages, (two are actually only one minute and five minutes’ walk away! ), even the well-seasoned brewmaster will struggle to sample all the local ales in his first visit! Boot even has its own annual beer festival in early June, which celebrates Cumbrian ales and has over 100 beers and ciders for you to make your way through over the three days. Boot’s traditional inns boast the finest selection of local food and produce, so whether you fancy the fresh fish of the day or a slice of homemade beef and beer pie after a day out on the fells, you will not be disappointed. After dinner, you can savour a peaceful stroll beneath the brilliance of the Milky Way, back to your warm, cosy Eskdale cottage – keep your eyes out for the shooting stars, we’ve seen a few! See which one whets your appetite here! Three of our self catering cottages have ground floor bedrooms and bathrooms - two of our larger cottages, Scafell and Wastwater, as well as our one bedroom cottage, Stanley Ghyll. We are gearing up to obtain Level 1 Mobility Accreditation later this year as per the National Accessibility Scheme guidelines. In the meantime, do not hesitate to let us know about your requirements as we will most likely be able to supply all your needs. The Laundry Room has 2 washing machines and 2 tumble dryers for our guests to use free of charge. Several washing machine tablets are provided in your cottages for use in these machines. Fancy leaving the car at home? There are planty of travel options if you are thinking of leaving your car at home. In the summer come by train to Ravenglass and get the 'Ratty' (Ravenglass & Eskdale Historic Narrow Gauge Steam Railway) to us, then it is just a 400 metre level walk from the terminus at Dalegarth Station to Bridge End. Or simply take a taxi from Ravenglass using Gosforth Taxis - contact them on 01946 725 308. To do this trip coming from London, Birmingham or Manchester would probably mean a change at Preston, Lancaster or Ulverston onto the scenic West Cumbria line to Ravenglass. From the north it would involve a change at Carlisle. Alternatively, head to Oxenholme which is the station for Kendal, this is on the fast London to Glasgow mainline. Hire a car, or get a taxi at Oxenholme, or change there and get further into the Lakes on the short journey to Windermere station and hire a car or taxi there. We recommend Oxenholme as this is the better option. Do let us know if we can help you with your travel plans. The cottages are inspected annually by England’s premier tourist organisation, VisitEngland. They are all Graded 4 Star with the exception of The Farmhouse which is Graded 5 Star and Scafell Cottage, which is Graded 5 Star Gold. So, why wait, check cottage availability now via the website and lets get your holiday in Eskdale started! Una cálida bienvenida a los huéspedes de habla hispana en nuestras hermosas cabañas en Lake District. Un accueil chaleureux aux invités francophones à nos beaux chalets dans le Lake District. Herzlich willkommen bei deutschsprachigen Gästen in unseren schönen Ferienhäusern im Lake District. Приветствуем гостей, говорящих на русском языке, в наших красивых коттеджах в Озере.